Ray is a very personable guy who worked very efficiently and finally got my whirlpool working again. The gentlemen who came to work on the washer drier were absolutely professional, courteous, punctual! GREAT JOB!!!! The serviceman, Jonathan was the ABSOLUTELY VERY BEST PART OF THE SERVICE REQUEST - HIS RATING IS A TEN+. He was on time, exceedingly pleasant, excellent manners, etc. He quickly ascertained the parts required to be ordered. Ultimately, last night, we received an email we’d receive a check, pursuant to the warranty agreement which was in its final months of coverage. It took three transfers to locate the company we should be dealing with. Calls to Paradise “call centerS” were not outstanding. We did not receive an email, as promised, for the three hour window of arrival, necessitating ANOTHER CALL. I recall making three calls in total to the call center. Mr. Sims was very knowledgeable and very professional. The service technician was on time and explained the problem and the solution. He was very efficient and friendly. The leak was caused by a blockage in the drain line which KitchenAid has recognized as an ongoing issue and have created a fix. Fortunately, we have an extended warranty and there was no charge. Repairman very nice. Explained the problem fully. From the first telephone call to the completed fix of our refrigerator, customer service was terrific. Sarkis was a pleasure to have working on the repair. Thank you Sarkis! Had to call to get updates on order/repair. Told I would be called back. Then once that happened the tech advised that my issue was not an issue and would not replace what they originally said was wrong? The first Tech that came out did not know what was correct per the 2nd Tech. GREAT SERVICE, THEY KNOW THEIR JOB. We had a great experience to fix our oven. What was a challenging part to track down and find didn't take away from customer service and kindness. Great repair tech we worked with. Will call Paradise again for future appliance needs. The service technician not only called when he was in route, but he kept me informed, service was great, was knowledgeable and professional. My unit is running with no issues so far. I must say his experience of troubleshooting should be shared within the company to have great technicians across the board. I appreciated that he recommended a new stove over repairing the existing one. Problem resolved quickly with politeness. 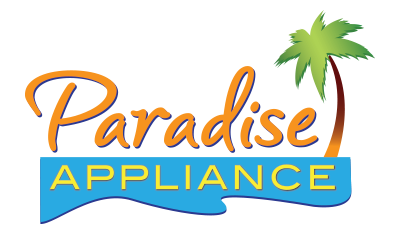 My 7 month old washer had trouble and I got a service from the Paradise Appliance. The technician was friendly, polite and finish his job accurately and fast. Thank you so much! Our technician, Doug, was knowledgeable and very professional. We had a difficult wiring problem (covered under warranty), but Doug handled it with ease. I can highly recommend Doug and Paradise Appliance. He was careful, left the kitchen spotless and was just a great guy to work with. Raymond was very courteous, respectful, and had excellent customer service skills. Johnny, the service tech, is a shining example of how service work should be done. He was on time, had a smile and a nice greeting. Then he went about his business in record time- while keeping the work area clean. I was very pleased with the whole experience. The technician was very professional and knew exactly what was needed. Luckily he had the part in his truck and was able to complete the replacement immediately. Jonathan was knowledgeable and friendly. Pricing is fair. They provide a 3 hour window and call when they're 30 min away. i didn't have to wait all day, which i appreciate. Chris is very pleasant, respectful and knowledgeable. He did not waste anytime while fixing the oven. I'm hoping I will not need service again, but if I do, I will request Chris. Thank you. The technician who fixed the machine was amazing. He was very polite and accommodating. He did a fantastic job. The rest of my experience was terrible. The first technician who came out did nothing. When the next tech came out and it was determined I needed several parts replaced, the company did not want to pay for it even though it was under warranty. It took me many phone calls and talking to several people before you agreed to pay for it. I stayed home from work on the day the tech was supposed to come out and he cancelled. The next time the tech was supposed to come out, he was extremely late and I had to reschedule for another day. This was another day I had to miss work. The supervisor I talked with was extremely rude and nasty. I rescheduled for yet another day. The whole experience was awful and ridiculous. I would never buy another Maytag because of this experience. Thanks to Christopher, my washer has a new valve & the timer on my dryer is running correctly. Both my Cabrio Whirlpool appliances are working great. Christopher fixed the scheduling error made by the original operator who did not schedule me, as requested for a morning appointment. Much thanks to Christopher for s job well done! Great guy, very knowledgeable in refrigeration. He was aware of the problem with that type of dryer. Chris is very courteous, clean and professional. Did great work, is fast and made sure I was satisfied before he left. Great, great technician. The technician, Jaime, made every effort to be helpful. However, my service call was to clean between the oven glass on my Kitchenaid double ovens after a spill. Since that job was not new to Paradise, I should have been informed AHEAD OF TIME that the cost would be $165.00 per oven in addition to the service call of $109.65. Since the technician was able to tell me 20 minutes before arrival, the office could have done so 24 hours before when I called to confirm. Some people have to miss work or reschedule medical appointments so that information, if available, is important to share if the company truly cares about customer service. Ramon was very prompt and professional. He explained the problem with the product thoroughly. The problem is with the actual product as manufactured, so unfortunately, Ramon could not fix the problem originating the service call. The technician was very nice and knowledgeable and handled the job in a very professional way. Bad and unplacient experience with the worker/tech. That was send 2 the house don't know the company can have those kind of employees. And how Home depot can send there customers with this company. But I had already told you the knobs are not working so it was 109 $ spent for nothing. Technician was very knowledgeable and helpful and he got here early, he was very kind. Thank you Paradise for your service! Ray was an experienced and knowledgeable technician. He handled the issue quickly and even gave me his direct contact info to call if the problem was not fully resolved. Johnny is the best, great service! Johnny is very professional and friendly. He does great work and is very informative. Moving forward, Johnny will be always requested here at Turtle Ridge. Johnny, thank you so much for all your help! Pablo was professional and did his work efficiently. Obviously, I had many questions and Oriale provided answers to my questions in easy layman terms. He also provided tips such as letting the dispenser tray air out so that powder or liquid would not solidified and preventing molds. Great service and friendly technician. Technician called 30 minutes before arrival and arrived on schedule. Spotted the problems very quickly, had solutions! Super job! Very prompt service! You have an awesome employee who is very friendly and explains exactly what needs to be done! And treats your home like it’s his keeping it very clean and neat when he leaves! Thanks for the great work! Christopher was our repair person - polite, friendly, concerned, knowledgeable - studied our dryer’s problem, then fixed it quickly. We highly recommend! Your employees were super clean and friendly! There work was completed quickly and efficiently! Great job and again awesome employees! Timely, efficient respectful and professional! Very pleased. Francisco Juarez was extremely knowledgeable and very efficient on the repair of my dishwasher. He called prior to arrival to let me know when to expect him. He was a pleasure to work with, very professional, kind and polite. Paradise Appliance is lucky to have such a great employee. Sarkis was kind, on time and fixed the leak quickly! He knew right where to look! Thank you Sarkis!! Very professional and knowledgeable repair person. Christopher Zepeda was wonderful. He was very professional and sought to fix the problem with our products. The washing machine does not work now. Great service, really appreciated their help! Technician was extremely professsional and polite. Our technician was super friendly, helpful, quick, and prompt. He even came out a day early for our initial appointment, since he was only a few minutes away on other calls. Pablo was very friendly and helpful. He sets a high bar for service people to live up to. Great customer service. He arrived a little early and called to let me know. Very efficient and explained the issue. Our oven was exactly one week in the house when the burners stopped working. Contact Whirlpool and a tech, Francisco was sent within 2 days. He quickly identified the issue but had to return the next day to replace a part/module. Once done, oven working fine. I appreciate the quick and professional response. Francisco was friendly, professional and took the time to explain the issue to me. The most unorganized company. They have lost our service file and can not send us an estimate. I wish the order had been reviewed before the first service call. Instead the serviceman reviewed it the day of our appointment and found out that he had to order a part, so we had to be without a dishwasher for another week. However, he was really great and the service, when he got here, was outstanding. The technician was very professional and fixed the problem right away. Not only did I get an appointment quickly but the repairman knew immediately from what I described the problem to be with my brand new refrigerator almost the without looking at it. So pleased with the professional appearance and demeanor of the representative from the Appliance repair place. Arrived within schedule window. Identified problem quickly and fixed it. Awesomely helpful, incredible work ethic and attention to details. You have a terrific Kitchen Aid rep at Paradise! The service rep, Ray, was very friendly, knowledgeable and professional. Chris, the technician was very efficient. Problem fixed! Thanks. After initial inspection by technician, appliance was not completely pushed into wall receptacle. He then noticed heat emanating from another receptacle on the circuit, which I did not catch. Since it was not in the technician's scope of work to repair house current, I made the repair myself. Problem solved and I have not experienced any problem, since, with the appliance. John came to fix a rattle in my Maytag dryer. He knew where it came from, fixed it and was extremely polite and professional. Ray arrived within the scheduled time for the call. He was energetic and helpful even though it was the end of a long day for him. He conveyed information and options for us to determine how to handle our broken washer situation. It’s never fun to have to deal with costly appliance repairs/replacements but it was nice to have Ray there to help us evaluate the situation! Very good service. Appliance tech was well informed, efficient and pleasant. The service in terms of the courtesy of employees, promptness, and pricing(no cost) have been excellent; however, the original problem has not been fixed (8 visits)at the time of this writing. I am retired so fortunately I did not have to take off work eight times. For that reason , I cannot give an overall "Excellent" rating. We are very grateful that there was an offer and attempt to address the issue at no cost to us and I would be willing to change my rating when the problem has been resolved. I had the most amazing and kind technician out to repair my broken refrigerator. She did an amazing job. Above and beyond great service. The representative gave amazing customer service he was also very polite and respectful. Technician was professional, courteous and efficient. This was warranty service. Jorge was knowledgeable, personable, professional, and he did a great job! Rose was very knowledgable and efficient. Sarkis was friendly and professional and helped diagnose my problem quickly. Larry was very friendly and quickly and thoroughly serviced our clothes dryer. He checked it over and tested it when he was done. He also cleaned up the area afterwards.We couldn't have asked for or expected more. So easy to work with, would use them again. Great work, very friendly and professional. I would recommend such a great service and great customer service. Showed up on time, very polite and professional, diagnosed, explained, and fixed the problem in a timely manner. Great service by Ramon! He even made the time to come back to fit me in his busy schedule. Thank you Ramon for your great service! Raymond Jackson explained everything to us about our newly purchased Whirlpool Refrigerator and told us that it is an excellent purchase. He gave valuable information on how to use our frig and that the buzzing sound was just the normal function of this frig. It had to do with the normal operation of the frig and nothing to worry about. He went over the operations of all the functions and assured us that all was fine. Thank you Raymond. It was terrific, technician was on time; kind and diagnose the problem quickkt. HE WAS VERY NICE AND DID THE BEST WITH WHAT HE HAD TO DEAL WITH. THINK POLICY ON EQUIPMENT WITH WARRANTEES THAT ARE OF NO GOOD. ITS A JOKE SND THE CONSUMERS ARE NOT AWARE. I was grateful for the quick, clean, and thorough repair on my dishwasher. Larry was punctual, knowledgeable and informative. Very courteous technician. Dryer is working great. Thank you! I was extremely pleased with the repairman. He was professional and he repaired my dishwasher. It works like new again. Friendly, nice, and helpful. Got the part we needed however it took extra follow up. Unprofessional, sloppy service, with horrendous customer service. I paid the diagnostic fee to have the technician give me an estimate that exceeded the cost of a new unit. I called the company back 3 times to get an itemized estimate and received no calls back. I feel like I have been taken advantage of by this business and given the run around by their customer service department. They simply don't call back and are of no help when you get them on the phone. Would not recommend to anyone. This technician knew what he was doing. Fixed my washer. Chris is a very nice young man with a lot of patients and preserverince! I had a concern about the agitating of my washing machine. The technician came out and answered all my questions. Very pleasant experience. No repairs were necessary. A very good worker and very knowledgeable. The service man is very nice and helpful! Good Service. Covered by our Service Policy. Sarkis did a fine job. The tech was timely and work performed accordingly. They only problem I had with the "Company" is that the service fee is not applied to the repair service. I have dealt with other repair service that will apply this fee if you get the repairs done with them. If not, then you still pay the tech the service fee. I feel the service fee was high (@ $109) . That is not the tech's fault or problem. This company was suggested by Maytag customer service since I needed a certified Maytag/ Whirlpool tech. Wasn't sure if my problem would be covered under warranty. It wasn't !! Repair man great . Service on phones and appt availability horrible! On time and fixed the problem. Good service and replacement was quick. Jaime, It was a pleasure to deal with Jaime. He knew exactly how to fix both our Kitchenaid ice maker and microwave. Our issue with Convenience was that our microwave repair was delayed twice because the part was supposed to be in stock but wasn't. Our repair was delayed by a week and it was not convenient to keep rescheduling and being without the microwave. Great service. Give them a raise! Edi was on time and preformed his job in a very professional way. My service person was Victor. He was very professional and courteous. He called in a new part for me and immediately left to store before they closed to pick up the part so that it could be replaced the same day. Nothing but a 10 for Victor! On the day of our original scheduled service date, a representative called us to find out more details. He then decided the day of, that he needed to order more parts and would be canceling our service that day. It took a week for them to get the parts needed and he scheduled our new appointment for that time. The service rep that came out argued that a part was not broken, although it absolutely without a doubt was. He replaced the parts anyways despite disagreeing that it was broken. The service in general was just mediocre, I wouldn’t recommend the company to anyone nor have any major complaints. Just wasn’t a pleasant experience. Efficient and diagnosed promblem immediately. This is my Mother's home in Downey I was not present when service was done. Her caretaker was there. Rose did a great job finding the problem. Very nice service worker I’d highly recommend this young man to others. The service was awesome, Sarkis arrived on time and quickly resolved my issue. Robert was very polite and courteous. He explained what he was looking for and what he found in a very easy way to understand. One of the things he mentioned is that a water softener system could affects appliances depending on the detergent being used so we will be making some changes because of this. He was very personable and likeable and definitely an asset to your company. I was kind of bummed that the parts were not staged on the first scheduled visit, but the tech came out shortly after and did a great job! While he did not install the ordered part he did know the problem and more importantly had the right tools. I wish you guys could schedule appointments more concretely. Appliance was under factory warranty, no cost to me, but Sarkis was a well professional, knowledgable and experienced technician. I believe he will be a great assest to Paradise Appliance. Very satisfy customer!